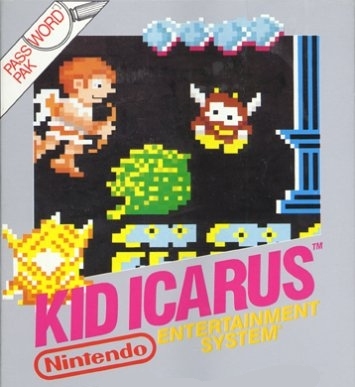 Released as a fantasy counterpart to the beloved Metroid, the incredibly difficult platformer Kid Icarus would see a little known sequel on the Game Boy before fading from the gaming world for more than twenty years. As a kid, I sucked too hard at games to even make it past the first stage, but I was quite fond of the enemy designs and their vivid depictions in the instruction booklet. Actually found all throughout the game, there's not much I can say about these little snakes. They're the games simplest, weakest and most common menace; its Goombas, if you will. Why it "evolved" to have wings is anyone's guess, since it can't use them. These guys seem to be billed as the game's primary antagonists - more like its Koopa Troopas - but really only make sporadic appearances throughout, with a variant form later on. The dumpy, purple cyclops-gargoyle look is fairly simple, cool and iconic. Like Shemum, they're flightless despite being winged, something I've always been a sucker for...they're like chickens! Purple gargoyle chickens! A floating eye with tentacles is a monster design that's been done a thousand times and still just never gets old for me. Despite their description, they damage you the same way as any other enemies, they're just getting fancy with the explanations. I guess this neat little tenta-skull can be considered a Monoeye with an exoskeleton, which is awesome. Maybe Monoeyes enter and take over the skulls of other one-eyed monsters? Again, the description is hyperbole, you get hurt coming into any kind of contact with their sprites. What a strange, cute little name for these gooey little squiddies. The Commyloose looks remarkably close to how I always pictured the Martians from The War of the Worlds, if it only had much longer, thinner and more numerous tentacles. You know I like goopy, amorphous monsters, and I always enjoyed Mcgoo's eerie, molten eyeballs. This is what happens when some molten rock is given "the soul of medusa?" Freaky! One of my favorites, this adorable bug-eyed gastropod really does bounce back your arrows, though I have to disagree about it looking stupid. That's the eye of a dark mastermind if I've ever seen one. The first boss of the game is a rather run-of-the-mill demon dog, two headed instead of a more appropriate Cerberus. Neat name, I guess. Found in every stage of the game, the Reaper does this whole comical freak-out routine when it catches sight of you and toots out a battlecry as multiple reapettes start floating around the screen. A lot of personality and humor given to an otherwise commonplace monster type. An obvious member of the Monoeye family, Specknose is actually my favorite monster in the game, for some reason...maybe it's the tentacle mustache. Specknose fill an unexpectedly special role for flying nose spirits, appearing in every stage in a special type of item room - if you can clear the chamber of them within a certain time limit and not die, you're rewarded with your choice of treasure. Why are giant noses in charge of guarding valuables in the underworld? Is there any non-racist joke that can possibly be made here? 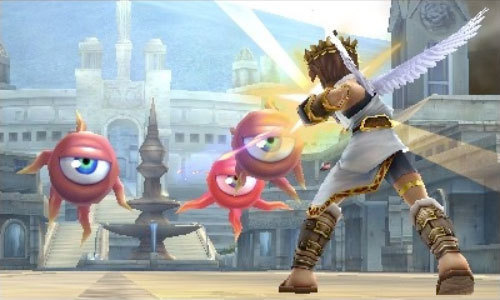 This one isn't listed with the game's "enemies," since he doesn't technically fight you, but he is a monster and he certainly isn't on your side. If I recall correctly, he's in another type of treasure room where you can break open pots to reveal items. I love that goofy, cross-eyed skull face of his, it's certainly the face I'll be making when I die forgotten and starving under an overpass somewhere! Haha! CLICK US FOR MORE MONSTERS!